You can follow the pattern as is, or mix the colors to best match your home’s Christmas look. The beautiful reindeer in the picture below were created by Susie Bleaken from our Facebook group. If you would like to share your ideas and your work with us join My Hobby is Crochet. 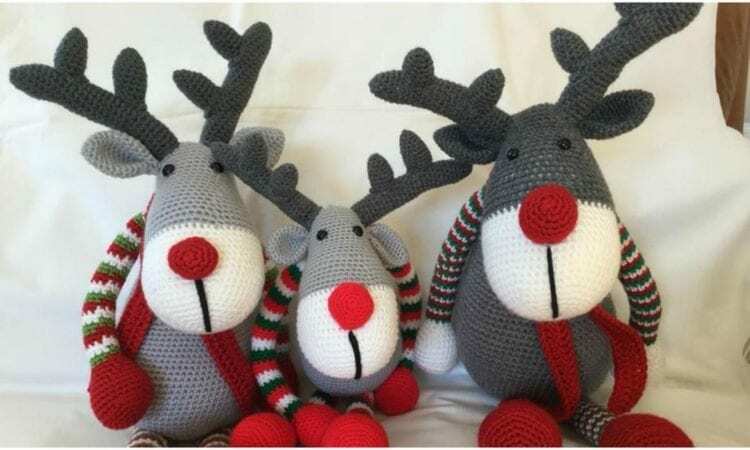 For similar Reindeer, you can follow the free pattern below or buy it on Raverly. For more free designs every day follow us on Facebook. The link to the free pattern is below. Reindeer Rudolf – Free Crochet Pattern is here. Don’t forget to Like us on Facebook.